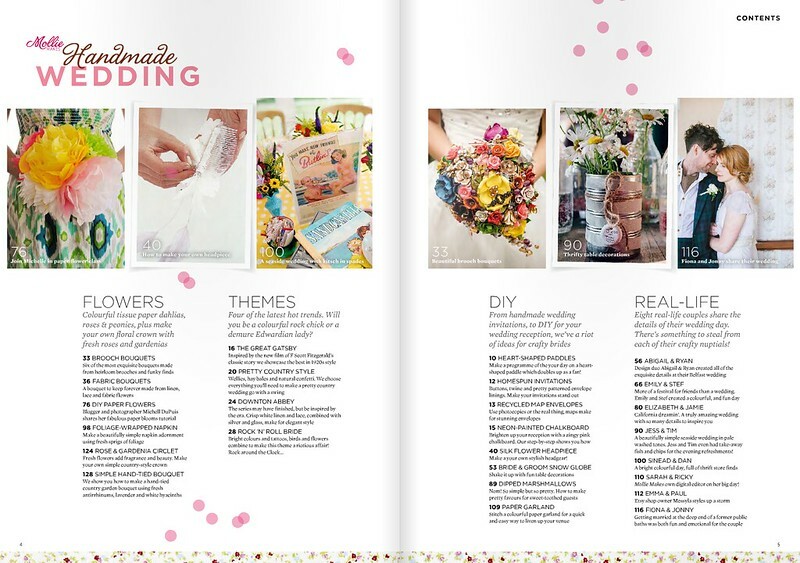 My friends over at Mollie Makes magazine just announced a special one off magazine they've created called Handmade Wedding that will release in the UK on April 4th and it's just beautiful. 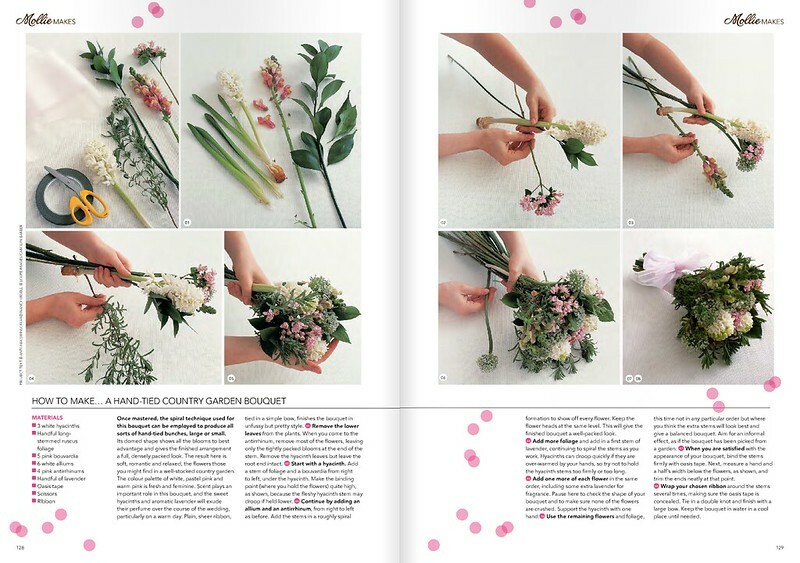 I love blogging about inspirational magazines because I want print to stay alive forever and ever! 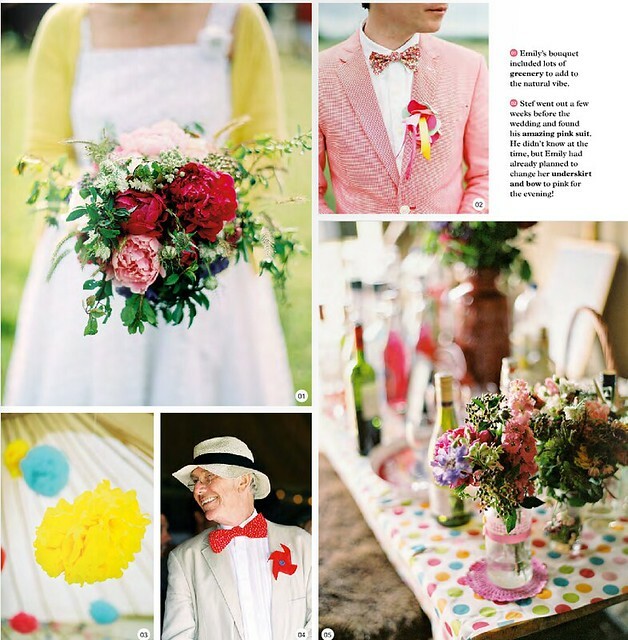 There is a little preview snippet online if you'd like to view it here: Preview Mollie Makes Handmade Wedding. And of course, my wee snippet below. This is a stunning cover, don't you think? I love the shimmering daylight the layout and various fonts - very pretty. Gorgeous table of contents layout, I particularly love the fabric along the bottom edge. 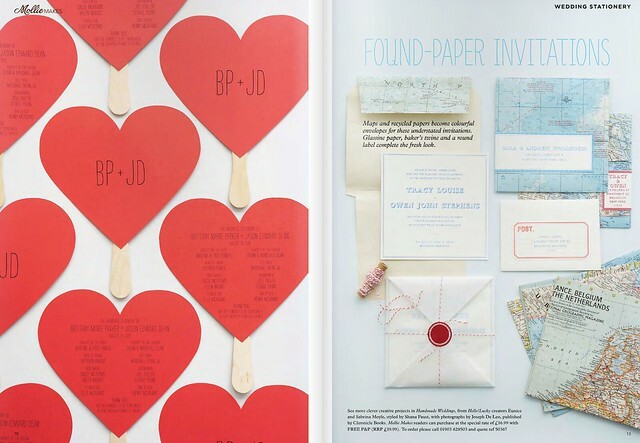 Really sweet DIY projects from the talented sister duo, Eunice and Sabrina Moyle, over at Hello Lucky. 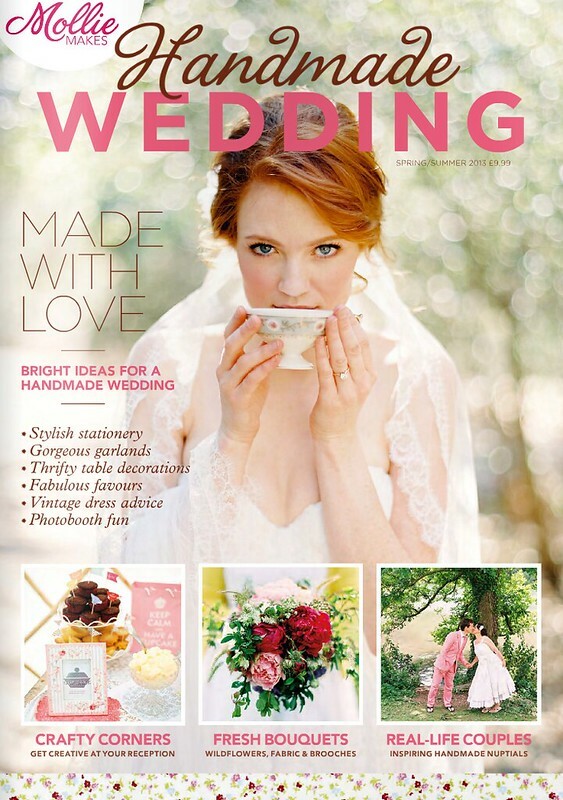 They also happen to author a book under the same name as this magazine, Handmade Weddings. I love their adorable video on YouTube, have you seen it before? 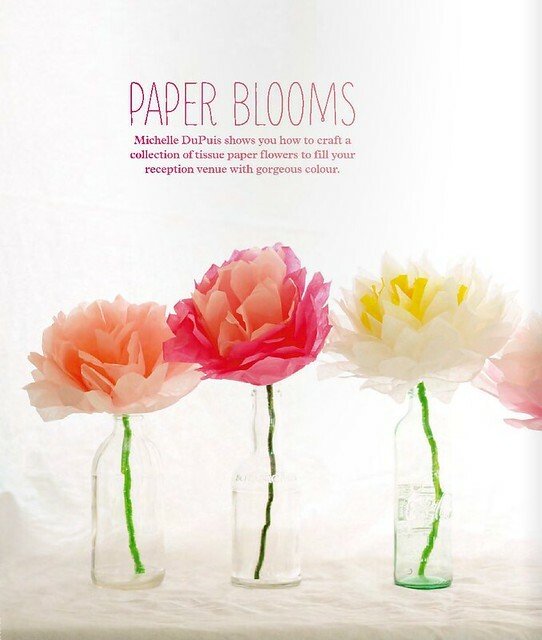 Oooooh paper flowers. 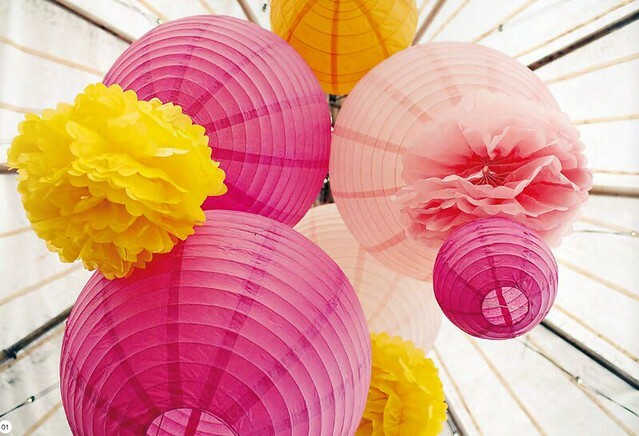 I love paper flowers. My mother and I made a ton of these for my bridal shower before I got married... She is the tissue paper flower QUEEN. Oh my gosh this couple is adorable. 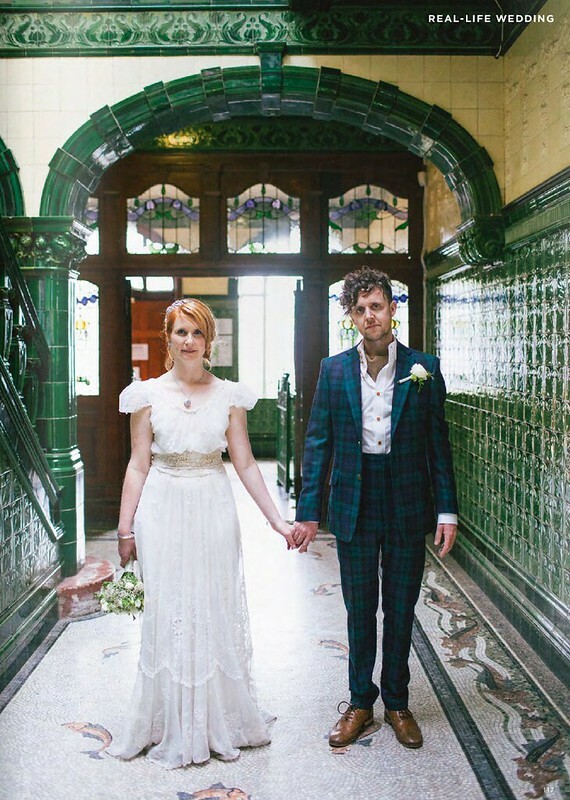 Could his suit be any cooler (or MORE British)? A-D-O-R-E.
Could Irish homewares designer Abigail Ryan look more gorgeous? I loved seeing her wedding day in this mag. As a side point, I cannot WAIT until she debuts her wallpaper line in May - (see a tiny glimpse on her blog). I'd love that pattern on the wall in my bedroom - gorgeous. 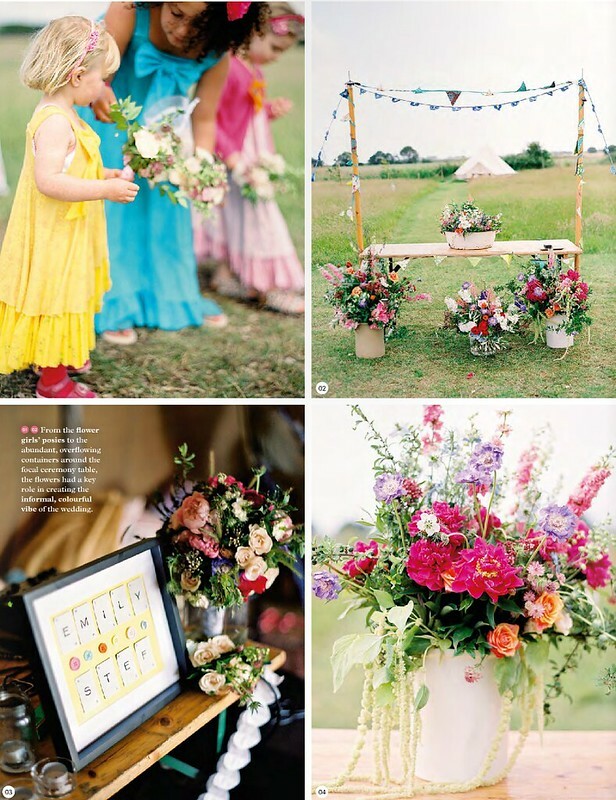 A gorgeous floral arranging DIY... Never can have enough flowers in our life! 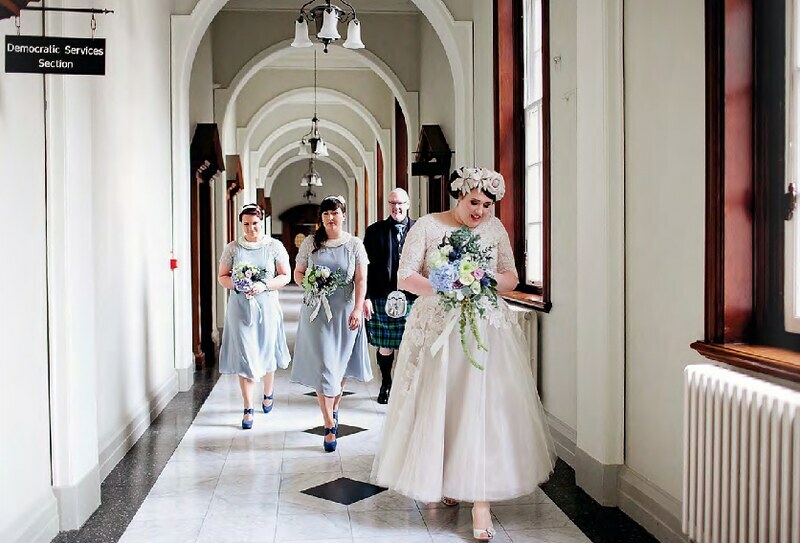 About this magazine, "This beautiful one-off special includes real-life weddings, DIY makes and inspiring themes to help you create your own unique wedding day. It's out on 4 April 2013" and will be appearing on newsstands in the UK then.